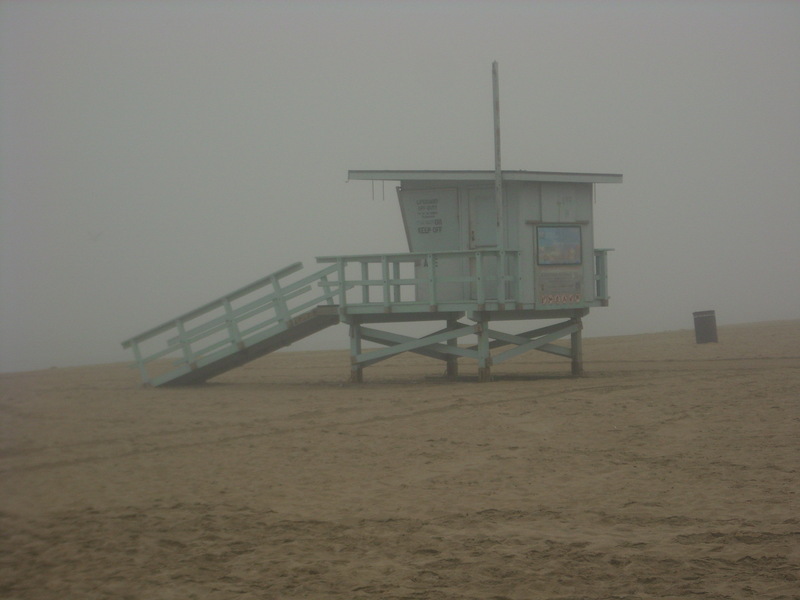 and this morning I planned on walking barefoot on the wet sand at the beach, but even the Los Angeles weather has succumbed to the Halloween holiday. The beach is foggy with a light mist in the air, so I gave up fantasies of wet sand between my toes, grabbed my shoes and my pink camera and hit the beach. There are days when I walk along the strand, lost in my head. The ocean sounds and smells fade into the background and I forget where I am, thinking about the story I’m working on, bills I need to pay, what I plan on making for dinner..you know…life. Today wasn’t one of those days. Today I was lost in the ocean and my environment. Today I felt the heart of the world beating around me. 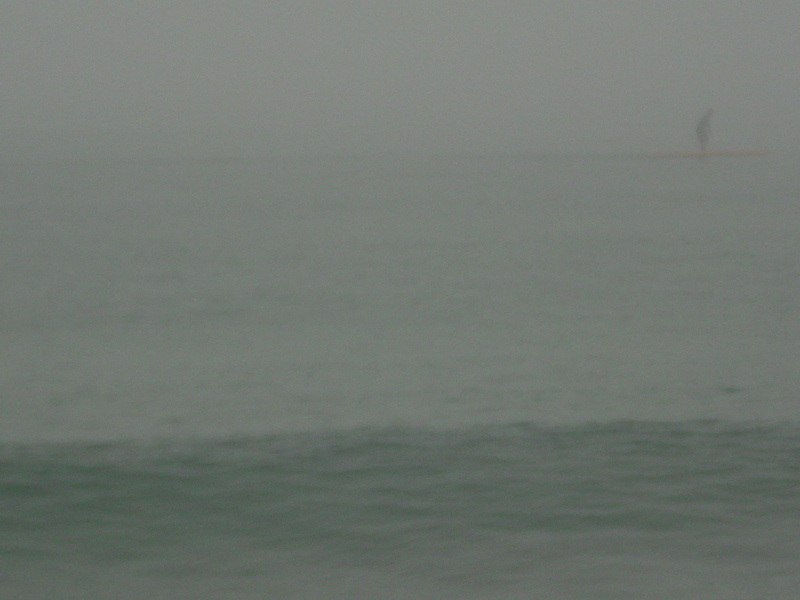 Birds flying over the water, surfers paddling along the shore, all became ghostlike impressions enveloped in the heavy marine fog. It wasn’t eerie, I’d have to say that even with the shadowy ghosts of people on the beach and seagulls overhead, it was a cozy feeling… it’s home. Bird with a lot to say! 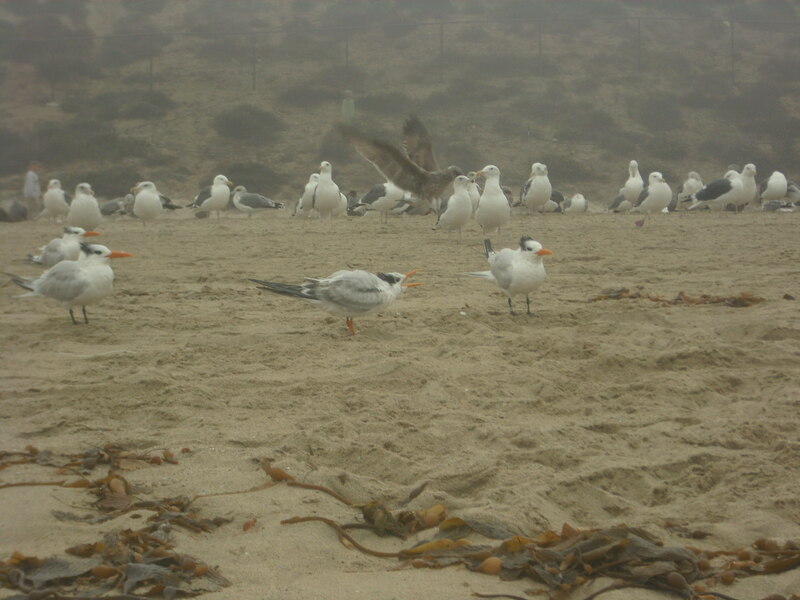 One of the things I love most about a day like today is that the marine layer holds in the ocean smells. The sea is heavy in the ocean air, and the mistiness makes my hair curl up into little ringlets that I think are messy, but that for some crazy reason my husband, Paul loves. Normally, I use this time to get back into my story, feel my characters, plot and plan, but today I took pictures of crashing waves, and shadowy figures. I collected miniature seashells the size of my finger nails. Not that I need another seashell-my father in law an avid seashell collector left us an incredible collection, so we already own our share of the pacific and a couple of other oceans, but I can never resist picking them up as I walk along the beach. Later I’ll make up haunted tales about the ghostly dolphin couple that moved gently in unison rounded backs and pointy fins arching into the water (I couldn’t get a picture of them in the heavy fog), and the paddle boarder lost in the misty haze as his shadowy figure glided along just outside of the breaking waves, it is after all Halloween. The shells are now in a purple sand pail in my trunk, and I’m sitting at the library with sand in my shoes, and damp knees-I couldn’t resist dropping to my knees to take some pictures of a squawking seagull that seemed to have an exceptional amount to say. I pulled out my manuscript….I’m doing rewrites of my first draft now, and I’m nearing the end…so I found my marker and began reading where I had left off, and found that all along I was in my heroine’s head after all…the first words of the chapter have her walking on the beach in a hazy fog…..so, it’s time for me to get back to my story. I’ll share some pictures when I get back home, and can download my camera, hopefully some of them capture ghostly coastal images.